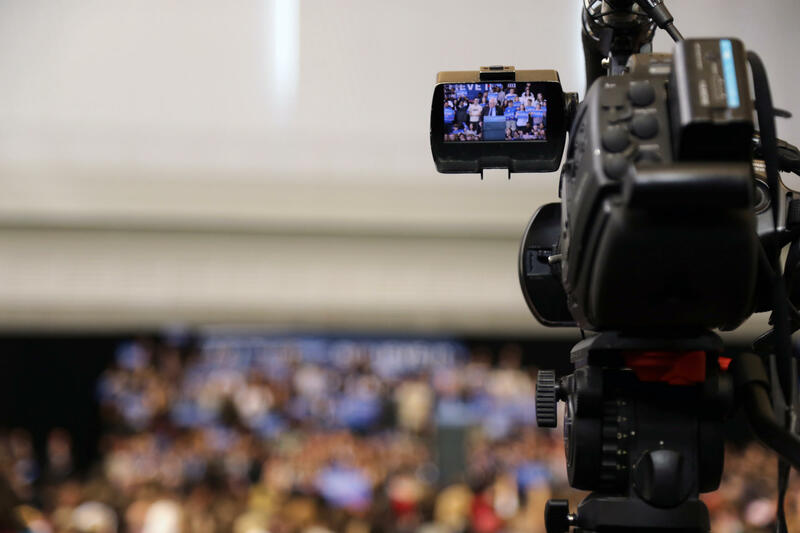 A television camera hones on Democratic presidential hopeful Bernie Sanders at the David L. Lawrence Convention Center in Pittsburgh on Wednesday, March 30, 2016. The Confluence broadcasts live from Point Park University’s Center for Media Innovation. As the 2016 election season winds down a panel of journalists join us to discuss the presidential and senate races. We’ll also examine how the media has covered the elections. The country is on the verge of a historic election that could result in the U.S.' the first woman president and Pennsylvania could play a key role. Salena Zito, political reporter for the New York Post, former Tribune Review reporter Mike Wereschagin and WESA Senior Reporter Mark Nootbaar, provide their reportorial perspectives on the 2016 presidential campaign. In this segment, Mark Nootbaar, Salena Zito and Mike Wereschagin turn their attention to the Senate race between Republican Senator Pat Toomey and Democratic challenger Katie McGinty. This race, which is the most expensive in U. S. history could change the balance of power in the U. S. Senate. Republican presidential candidate Donald Trump has lashed out at the media throughout the campaign. His Democratic opponent Hillary Clinton’s relationship with the press hasn’t always been cordial. In this segment we’ll examine the role the press has played in this election year with Post-Gazette columnist Ruth Ann Dailey and Andrew Conte, director of Point Park University‘s Center for Media Innovation.